A letter to the aviation ministry, exclusively with The News Minute, shows that the strong force of water hitting the bridge could be weakening it, which is a serious flight safety issue. 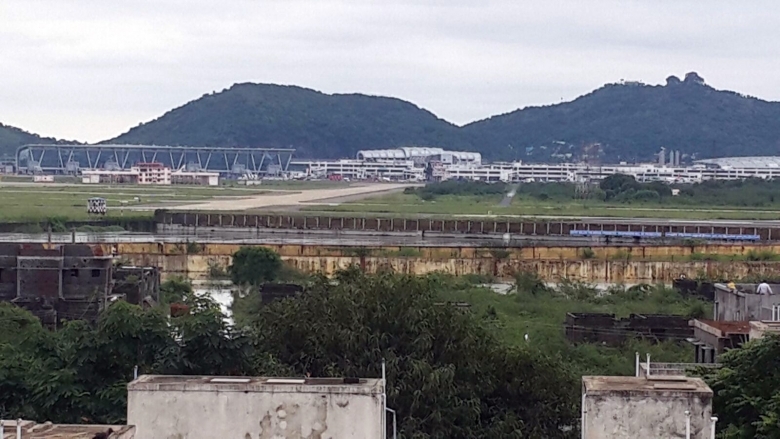 Here is what many do not know: There are two runways at the Chennai airport, and a part of the second runs over what has now turned into the mighty Adyar river. 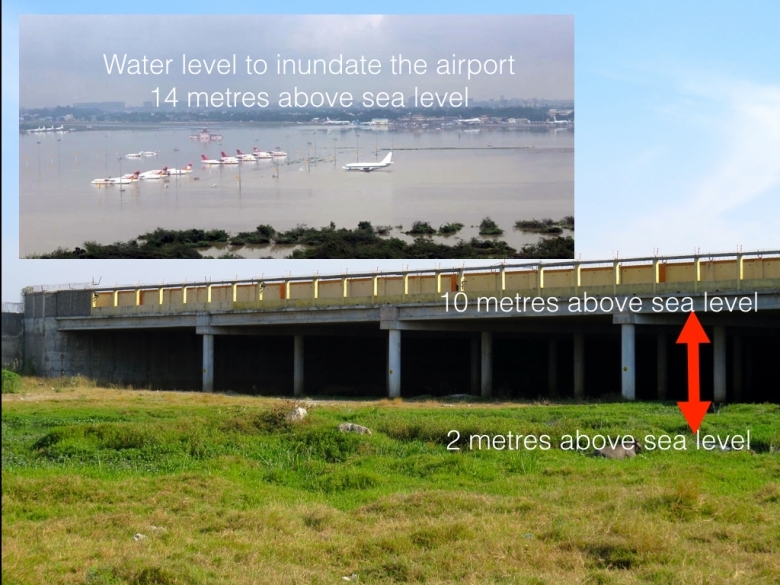 Despite several warnings by experts, the runway was built over the river, and the bridge possibly remains structurally weak to handle the pressure from the water. Following the heavy rains, the Chennai airport had shut operations completely from December 1 to 5 and resumed round-the-clock domestic and international operations on Monday. That the country’s fourth busiest airport recommenced functioning is a relief, but experts say that this is unlikely to be the last time that airport would be inundated. The next time there’s a flood in the city, the Chennai airport could witness a similar or worse situation. Of the two runways, the main runway runs parallel to GST Road and a secondary runway runs perpendicular to it. A portion of the secondary runway was built over the flood basin of River Adyar, a bridge was built over the river blocking the free flow of water. 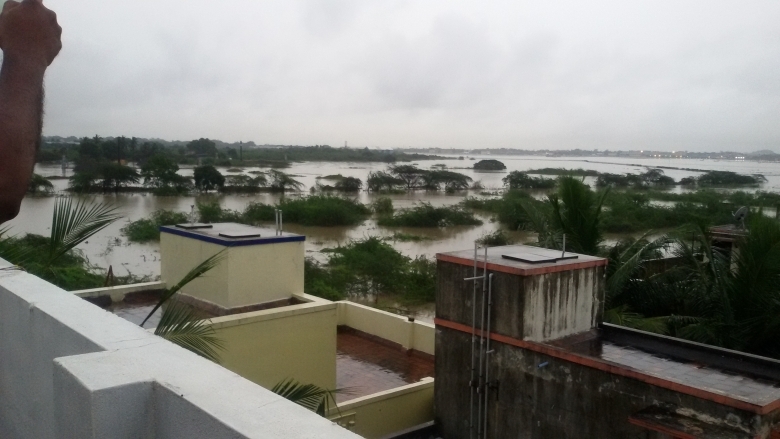 So each time water from the Chembarambakkam lake overflows into the Adyar River, the Chennai airport will be flooded, aviation expert Captain Mohan Ranganathan told the The News Minute. The flooding of the Chennai airport was only expected, he said, adding that airport authorities had been given ample warning in the past against the building of a bridge over the river. "When the bridge which was built across the river, it caused an obstruction and restricted the flow of the river. And this is not just an environmental issue. It can cause extensive damage, especially downstream," he said. 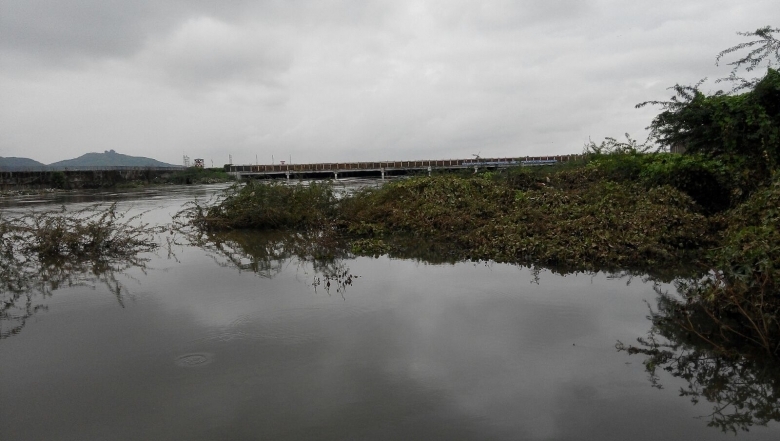 First Deluge on November 18- 10000 cusecs/sec water released from Chembarambakkam lake; the water level rose and was touching the bottom of the bridge. When the rains stopped and the release was reduced to less than 5000 Cusecs per second, this is what the bridge looked like. This is what the bridge and the airport looked like on December 1, 2015, when 35000 Cusecs/sec water was released from the lake. A former member of the Civil Aviation Safety Advisory Council (CASAC), Ranganathan had in fact written a letter to the Secretary, Ministry of Civil Aviation in 2013 pointing out several flaws in the construction of the second runaway and highlighting the dangers. However, his letter did not yield any positive result, he said. In a 2008 piece for The Hindu BusinessLine, Ranganathan had explained why the airport was prone to flooding, and there was a prophetic warning about the floods. "The main runway elevation is around 13 metres above sea level... The current secondary runway is sloped downward from the main runway and it has to cross the Adyar river which has an elevation of 2 metres. The International Civil Aviation Organisation standards require the runway surface to be at a minimum height of 1 metre over the highest flood level across a water body. If the secondary runway’s level is not raised sufficiently, it is going to be flooded in any heavy rain condition." Ranganathan also pointed out that the sheer volume of water and the intensity with which it was hitting the bridge could adversely affect the structure of the bridge, thus making it unsafe for use. "There was evidence of disintegration even two years back and AAI has been patching it up, every now and then. The detailed letter with photographic evidence from CASAC, fell on deaf ears. The bashing it would have had from the force of gushing water is not something to be ignored. 14 metre wall of water hitting the bridge is not something they would have even thought of. I am also worried that they opened the runway for operations so soon, without proper friction tests," he said. Ranganathan feels that despite repeated warnings, work on the runway was continued because the people who took the decision "do not want to admit that they’ve made a mistake. Also, somebody has made a lot of money from it." But is there a way to rectify the problem? "The bridge has to be demolished," said Ranganathan, adding that there is no other option.